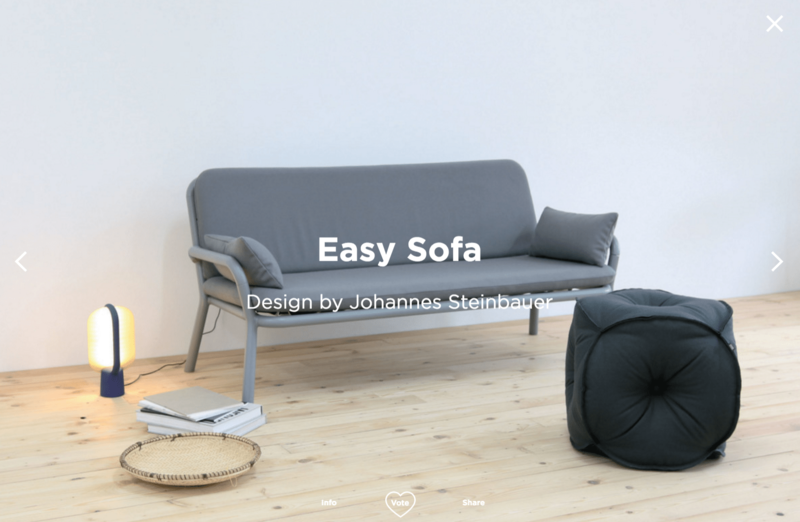 designer-furniture brands connect with digital consumers. Bolia is one of the biggest design furniture brands in Scandinavia. 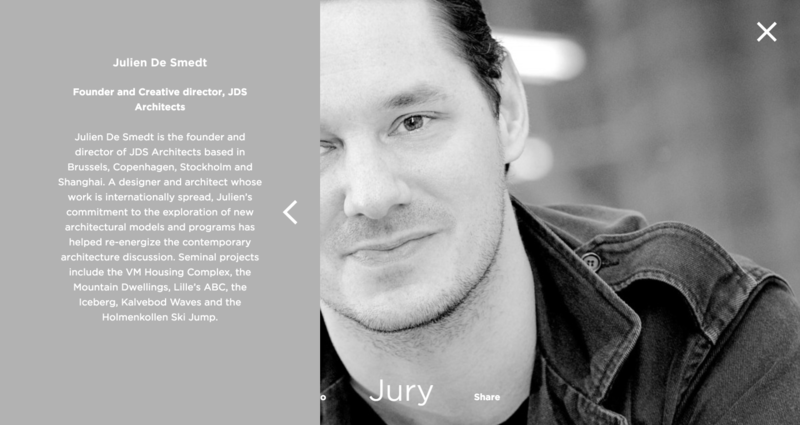 Since 2007, they honoured talented designers from around the world through the annual Bolia Design Award. In addition to a total prize of 100.000 kr. 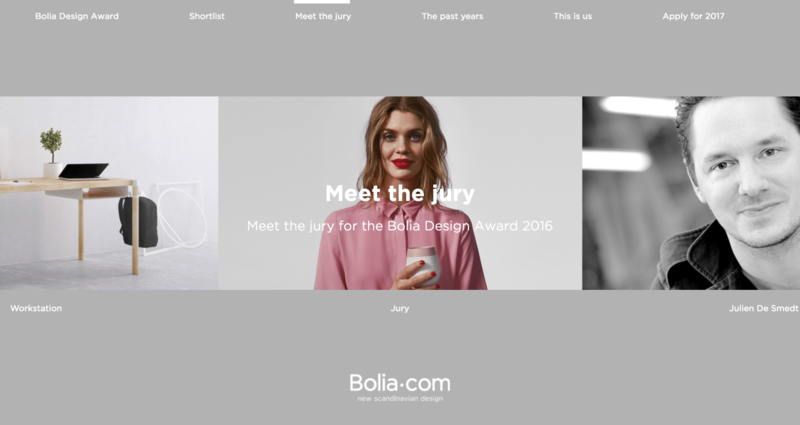 the winning designer will get the opportunity to become part of Bolia Design Team. 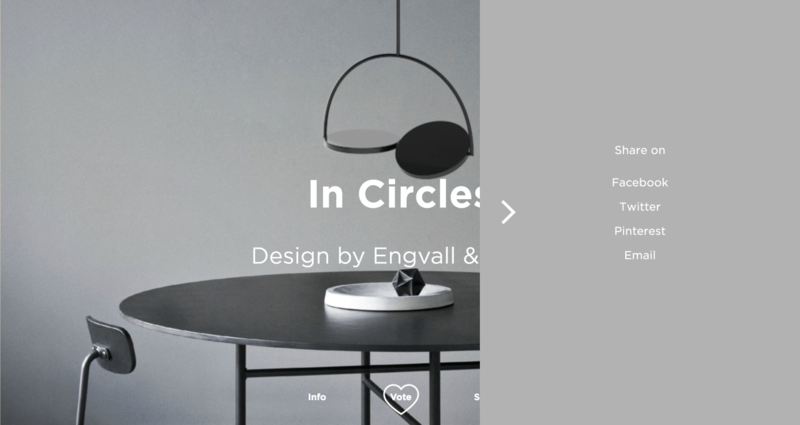 Here is how we helped Bolia involve digital consumers into the process of promoting the development of Scandinavian design and supporting young talented international designers. While challenging Scandinavian design traditions and new talents’ creativity, Bolia was looking to transfer the experience in the digital space. This had to result in a platform that mimics the brand values and creativity. Our end-solution resulted into a slick and intuitive digital platform, based on Angualar framework and WordPress CMS. This encouraged the consumers to participate in the voting process and select their favourite designs through a custom built-in voting system. The solution was built on a mobile-first approach, making sure that it will offer a seemingless experience on web and touch-point devices. Swipe, click or tap, the navigation featured on the web application was built to remove the loading times while browsing. This had to be done without adding time to the first page load. With the power of Angular we succeeded to do just that. Dozens of designs were added to the shortlist area and the navigation between these high quality illustrations ended up smooth and appealing, encouraging users to pick their favourites. 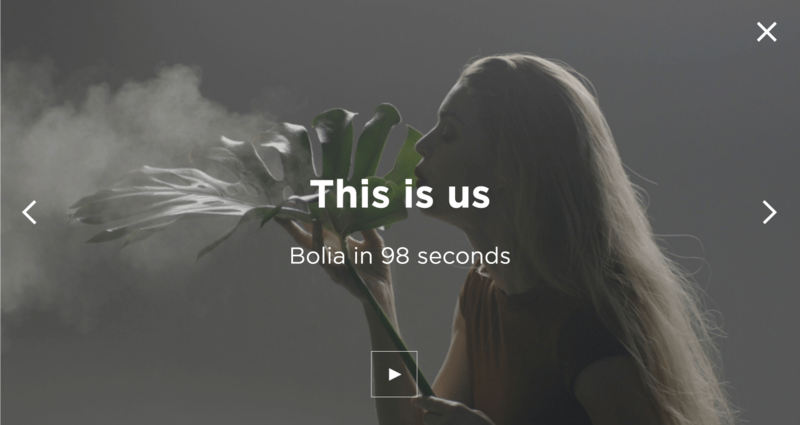 Our solution helped Bolia bring awareness to their brilliant initiative of rewarding young talents and involved consumers into the process. This added exposure to Bolia’s multi-year campaign helping to attract new costumers towards the brand and encourage the returning ones into fans.